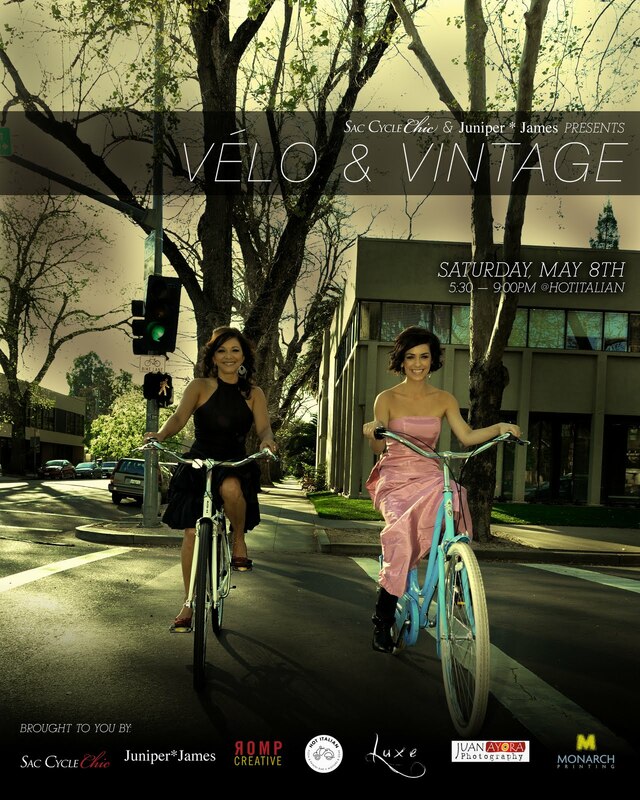 Cycle Chic®: We Love Sacramento Cycle Chic! We Love Sacramento Cycle Chic! There are loads of cycle chic blogs out there these days and some are closer to our hearts (you all know who you are!). Meet Sacramento Cycle Chic. 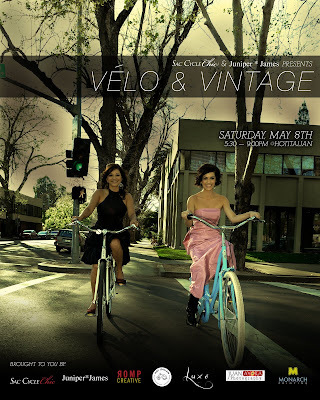 If you're in Sacramento, California this Saturday, May 8th 2010, then be sure to check out their fashion show. The two ladies in the photo are the ones putting on the gig, so you KNOW it can't go wrong! They understand Cycle Chic and combining it with vintage is brilliant. Have a great party, Lorena, Ed and friends! Mikael - thank you so much for your vote of support! We LOVE your blog, and are thrilled to be putting on this event. Lorena (of Sac Cycle Chic) is an amazing cycling advocate here in Sacramento. We are lucky to have her. Here's to an amazing show! Good luck on the show! i can't wait for the updates. Thanks Mikael! Sac Cycle Chic loves you too! The show will make all Cycle Chics very proud! i am so sad that i live to far to attend this event :( . I will anxiously await pictures of the vintage cycle chicness!! Go Sac! Great theme - I'm a vintage fan as well. So nice to see a fashion show in Sacramento. Wish I could attend. Wow! these "fahionista" also riding with this cycle. They look gorgeous on that photo. Why are they riding in the crosswalk?